Adara is Greek for beautiful, and that's exactly what this is. Adara is a beautifully contrasted style which uses a light content area with dark surroundings. It's built off our XenBase framework which gives you the ability to enhance the style even further. 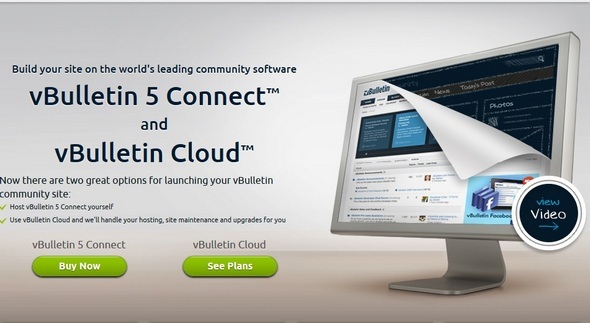 vBulletin 5 Connect provides unparalleled capabilities for building community websites. 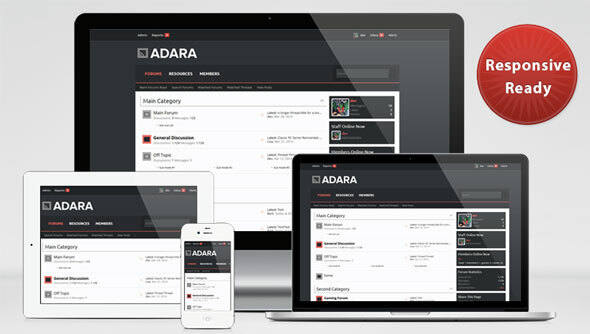 The software facilitates increased content creation, more engaging content discovery and simplified site management. 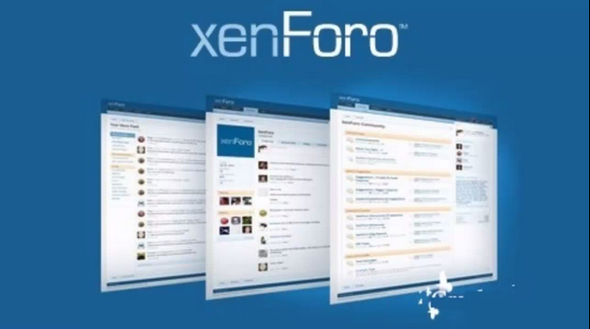 XenForo - it's fast and convenient system management forum. 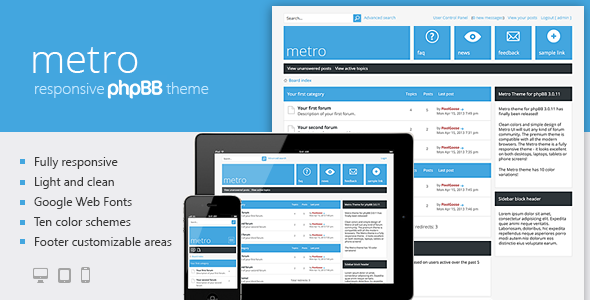 The developers of this software product dedicated many years working on such a hit as VBulletin. Therefore, among the priorities: high speed, resistance to heavy loads, as well as advanced functionality. 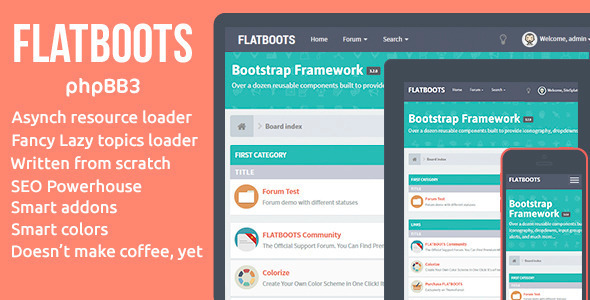 Bootstrap is ‘mobile-first’ front end framework developed by a couple of engineers at Twitter (hence the name), it was originally designed to help provide some consistency across tools the guys were building internally. Since its first public (open source) release in 2011 (see the blog post here) it has found huge popularity among web developers for its ease of use and feature set, and in 2012 was the most popular project on GitHub. 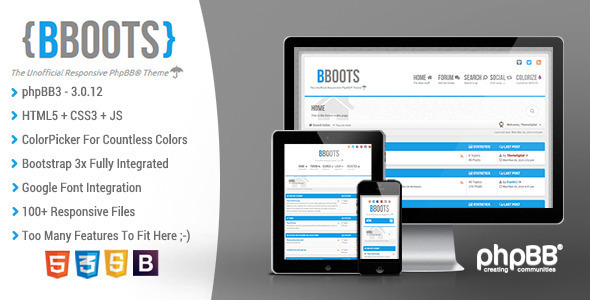 that allows for developing websites and custom applications that are cross-browser and cross-device compatible (responsive). 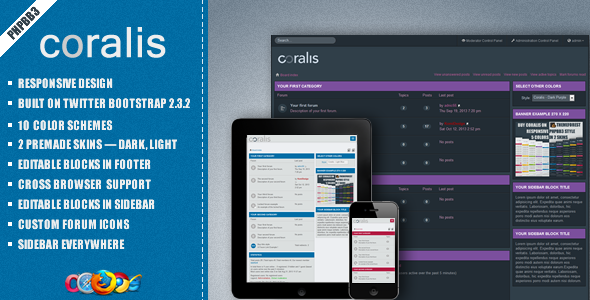 Coralis is a Responsive Theme for phpBB3 forum community with a colorful and attractive modern view that fits great on any device, desktops, tablets or phone screens. 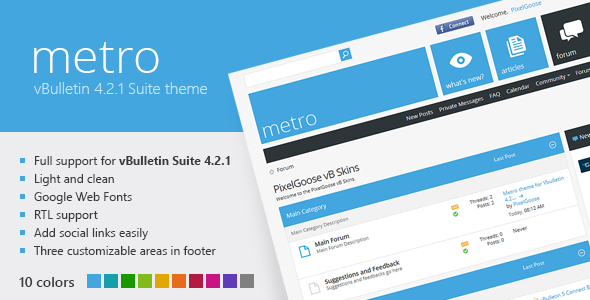 The theme is compatible with all the modern browsers and has 10 color schemes in 2 different skins – dark and light. 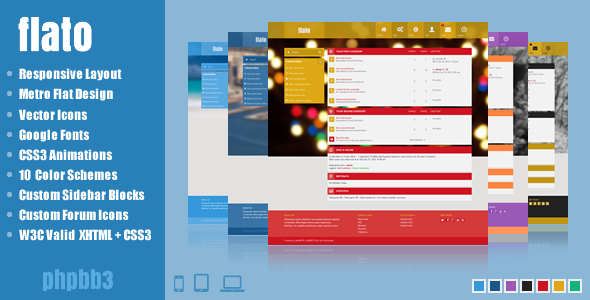 Flato is a phpBB3 Responsive theme that fits great on any device, desktops, tablets or phone screens. 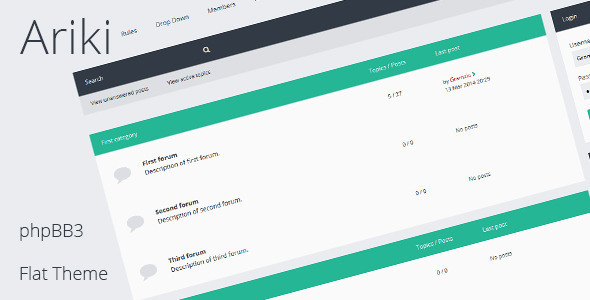 The theme has a sleek and intuitive metro style design which makes your forum community look awesome.Is compatible with all the modern browsers and has 11 color schemes.